Most of us men pay no mind when it comes to hair care or skin care. We often stick to the basic products like shampoo, soap, and occasionally, conditioners. But with beard care, this becomes a different story. Beard oil reviews are popping up everywhere and some of our bearded friends are making their appearances in the “hair care” light. 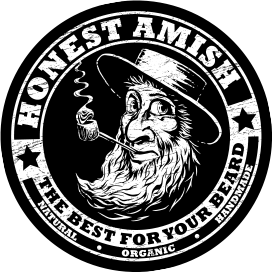 Honest Amish is probably one of the pioneers in beard care. Let’s have a look at the name that it holds. In every brand that we see, we always get that distinct vibe that only that specific brand gives off. With the brand of Honest Amish, you can feel its old school vibes that oddly enough convinces you to trust their brand. The brand’s whole image gives off a feeling to the consumers that they are the experts and veterans when it comes to beard care. Indeed, ever since the brand entered the beard care market, it’s not long before they became one of the most popular beard care brands. What you’ll like about this brand is that they stick to natural and organic ingredients. They also have a wide selection of products that are perfect for all your beard care needs. Beard oil is one of the main favorites in Honest Amish brand. The brand is popular for its best selling beard balms and waxes. Aside from that, the brand also has a wide selection of beard care tools. Yes, it is! Especially if your beard is already long and thick enough. Just simply cleaning it thoroughly can help spare you from tons of irritations. Leaving out dirt on your beard can eventually seep through the skin and promote heavier damages. It also helps if you keep your beard well shaped.